1988- ¿Qué cuento es ese? It's a Cuban tradition to turn band names into franchises which keep playing long after the original members have left and long after the group has ceased to have any real relevance to the current music scene. 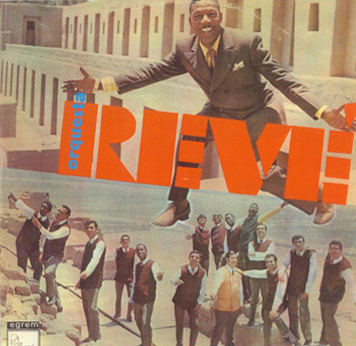 Other than Los Van Van, Orquesta Revé is probably the most dramatic exception, having stayed on the cutting edge for 53 years and counting, releasing two brilliant albums since 2005, and being voted the hottest live band of 2007 in a recent timba.com readers' poll. The main purpose of this webpage is to summarize what we don't know about the history of Revé in the hopes that people will write in and help us fill in the blanks.